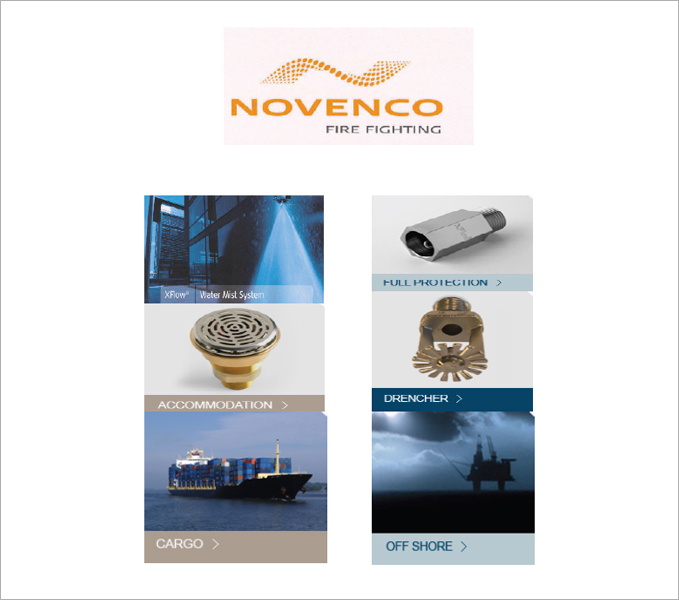 • Novenco Fire Fighting develops, engineers, manufactures and delivers fire fighting systems. • Our ambition is to define the service levels that make us our customers’chosen supplier for fire fighting solutions on land and at sea. We strive to meet this ambition by having those competencies, within our company and in our global network of sales offices and representatives, that will enable us to know and meet and exceed the expectations of each customer. • Our range includes complete fire fighting solutions, service, and spare parts, based on water mist and other technologies. • Based on our XFlow® technology Novenco Fire Fighting provides watermist based systems for protection of areas on sea and on land, e.g.